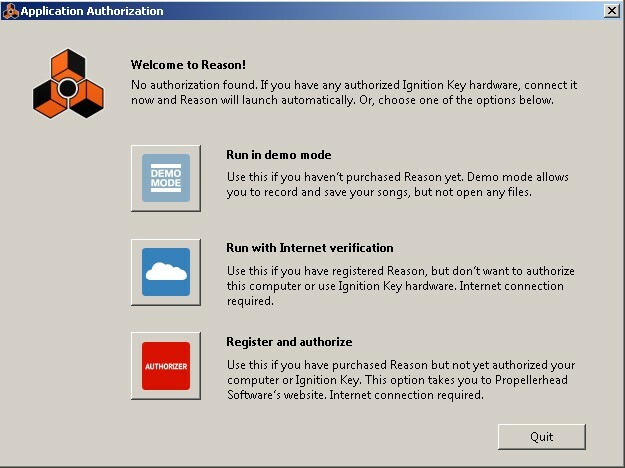 Reason 7 已經在 Propellerhead 帳號輸入序號完成啟動. 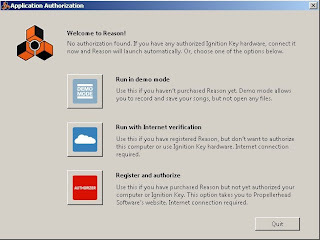 想在另一台電腦跑 Reason 7 , 可用 Run with Internet verification選項. 注意 : 要一直連線, 斷線 Reason 就變回 DEMO 版, 不能存.